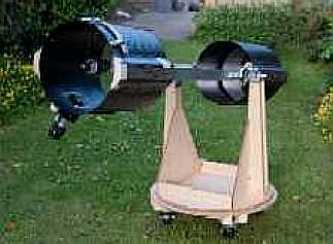 Twelve inch open tube reflector, made by Chris Bryant our present treasurer. Here you can judge the size. The 12 inch has been fitted with a control drive made from cycle parts.